What's Your Reference to Lifelike Music? For us at CDT, it’s over 40 years of playing the guitar. It’s playing brass in jazz bands and orchestras. It’s singing and playing in rock bands and vocal groups ever since the Beatles appeared. The point is we KNOW what live music sounds like. We know how a 12-string guitar sounds different than a 6-string. We know the crisp snap of a snare drum and the sizzle of the cymbals. And we believe that car audio systems should be designed to get you closer to the live music experience. 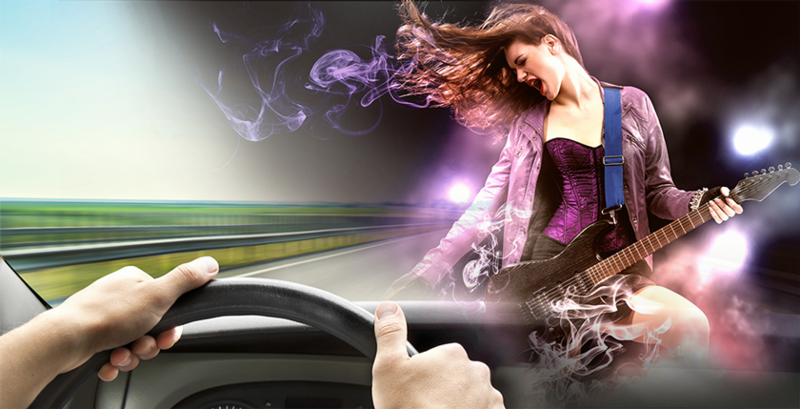 Our new approach to creating more realistic music experiences in your vehicle is called Music Staging Technology, MST. The MST system enables everyone to make their car audio truly sound lifelike. Staging, depth, dimension, and recreating the sheer size of the musical performance. We have discovered how the use of special frequency range accent drivers that produce a sound range greater than six octaves, that expands the front sound stage to where it sounds as if the musicians are performing in front of you, out on your hood. The heart of MST is the unique Stage Manager control unit. It lets you dial in the right amount of staging accent via the Six-Octave+ accent driver. The end result is simply the most effective musical imaging system available today. send it back (in original packaging) for a full refund excluding $13.00 freight out.